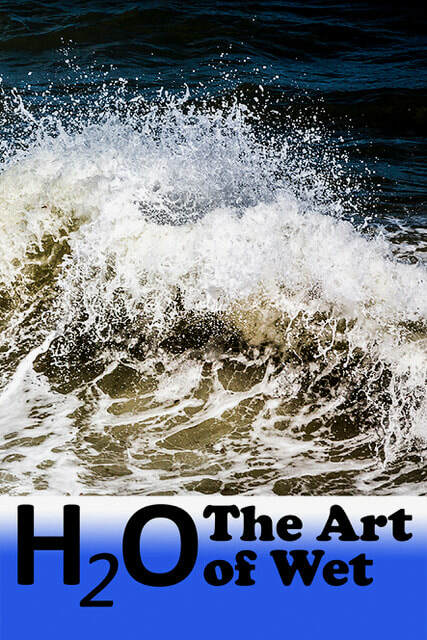 showing work on the theme of Water. Some of the best established artists working in Norfolk are showing pieces in many mediums, painting, photography, installations, video and drawing. The work covers a wide range of sensibilities and approaches but it all responds to water as inspiration; its form, its uses, its meanings and its sheer beauty. This is an opportunity to see wide body of themed work collected in one place. Some of the artists you may know, some may be new to you but this is a chance to see some of their best work together in a wide-ranging show. 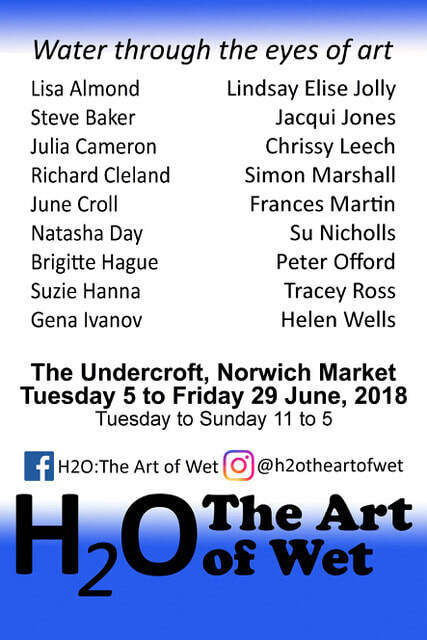 There will be Water themed private view on Thursday 7 June where the artists will all be available to talk about their work. Please come along if you can and bring water! There is a Private View on Thursday June 7, 6 to 9. It would be great to see you there, make it if you can. The Undercroft on Norwich Market is developing into a prestigious and forward looking gallery. It is dramatic and it has its’ challenges but it gives the opportunity for artists to show large and experimental work in a Norwich centre location.